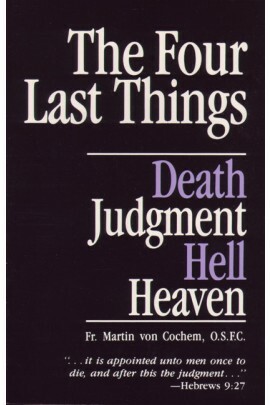 It has ever been the practice of the Catholic Church to recommend to her spiritual children the meditation on man's Four Last Things - death, Judgment, Heaven and Hell. Keeping these sobering aspects of human destiny ever before our eyes, we will be that much less likely to fall into mortal sin and be lost eternally. Gives many facts we should meditate on as we contemplate death. This book has converted numerous Protestants in our day because of its cogent reasons for rectifying our lives.